Stardom may have just made it back from the good old US of A, but there was no time to rest tired bodies. Night two of this weekend was set to be the big one as the Stardom Draft took place, but the first show wasn’t without consequences itself. 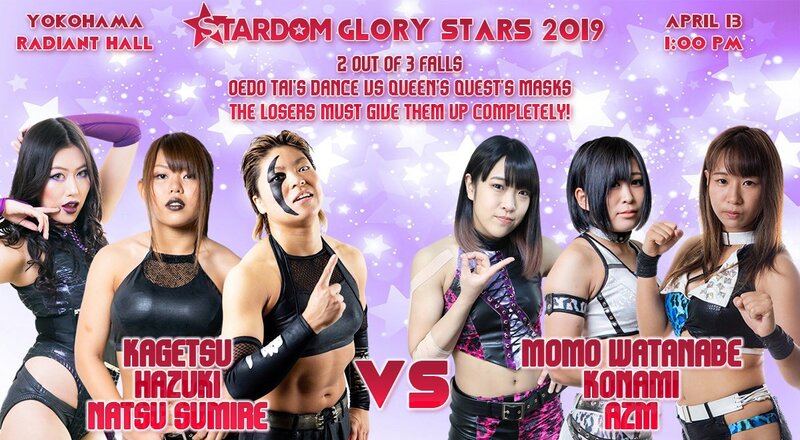 The main event saw Oedo Tai put their dance up against Queen’s Quest’s masks as one will be lost forever. Which one? Read on to find out. 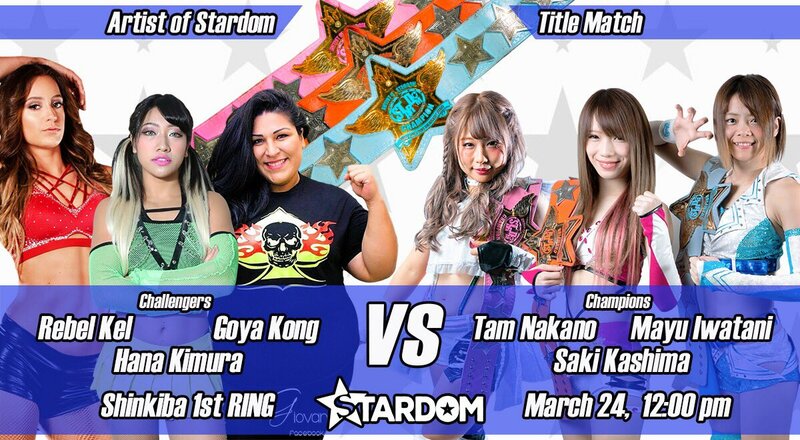 Stardom’s March trip to Korakuen saw them pack the show with title matches. All the big belts are on the line, including Iwatani’s WOH Title. With that in mind, let’s stop blabbing, and get down to it. 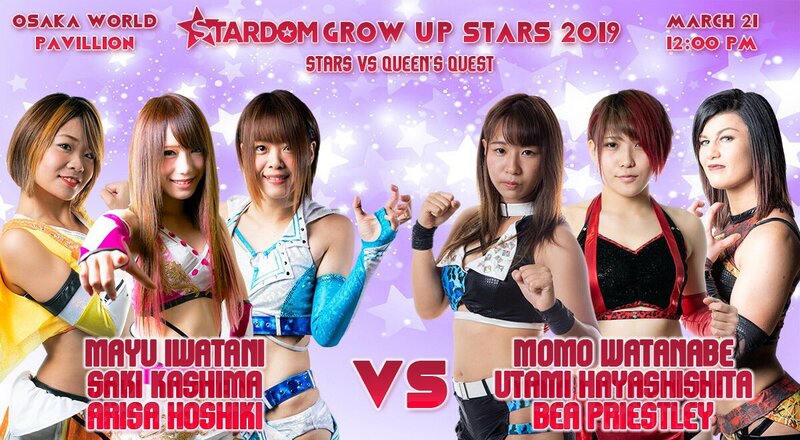 On Stardom’s final show before their March trip to Korakuen they were finishing up putting the building blocks in place for the multiple title matches ahead. On top of that, Hana’s gang are going after the Artist of Stardom belts. Sound like fun? It does to me! 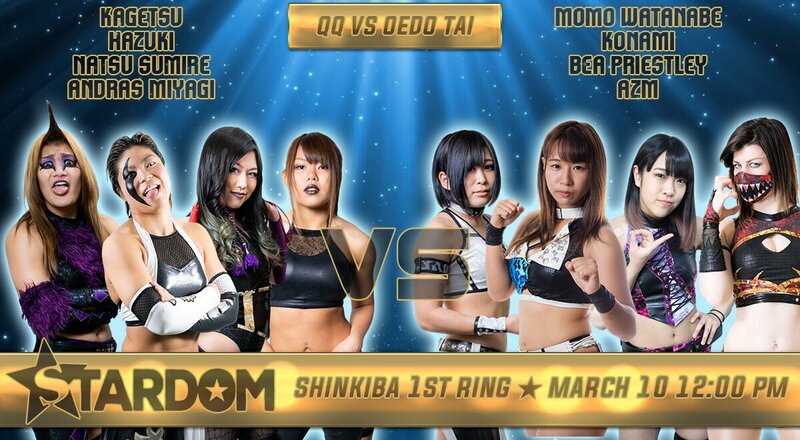 Stardom’s second show from the 21st had an intriguing card. 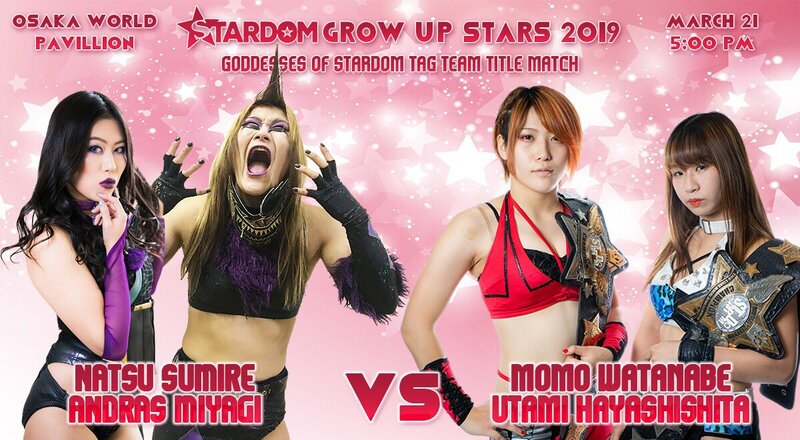 Not only did we get Natsu and Miyagi challenging for the Goddesses’ Titles, but Stardom put on a ‘Battle of the Super Heavyweights’ between Viper and Goya Kong. Throw in a decent undercard, and this had the potential to be a load of fun! 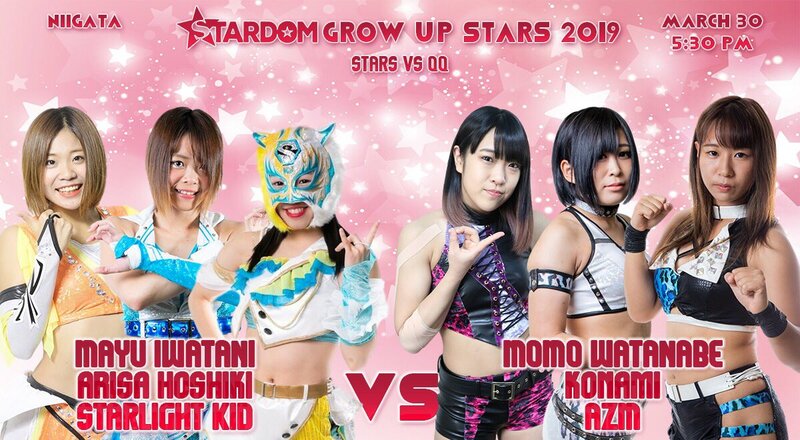 After a bit of a break (although there was a lucha show during which some Stardom talent put on a decent match), Stardom is back with two shows in one day. Nothing like being eased back into it, eh? With the previous day’s show at Shinkiba bearing witness to everyone in Stardom getting in the challenging mood, you can only assume that this show was the start of us building to some of those matches. 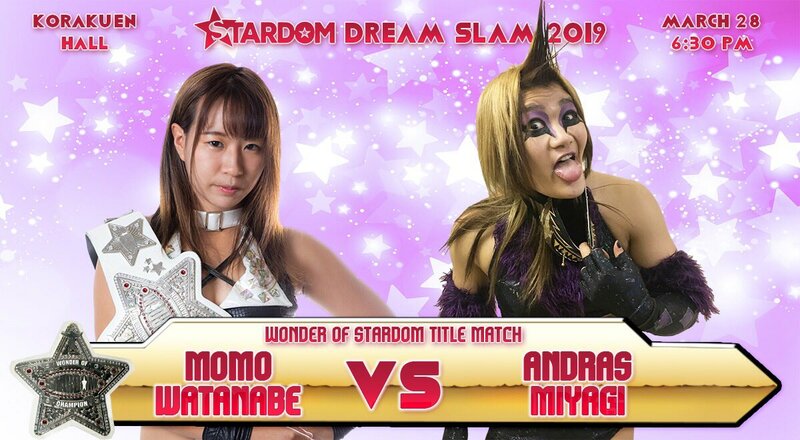 Throw in Saya Iida taking on Utami for the Future of Stardom Title, and you’ve got the basis for an entertaining show. Read on to find out if it was the case. I’m a bit behind on my Stardom reviews thanks to the New Japan Cup. Panic not, though, because I shall eventually catch-up. 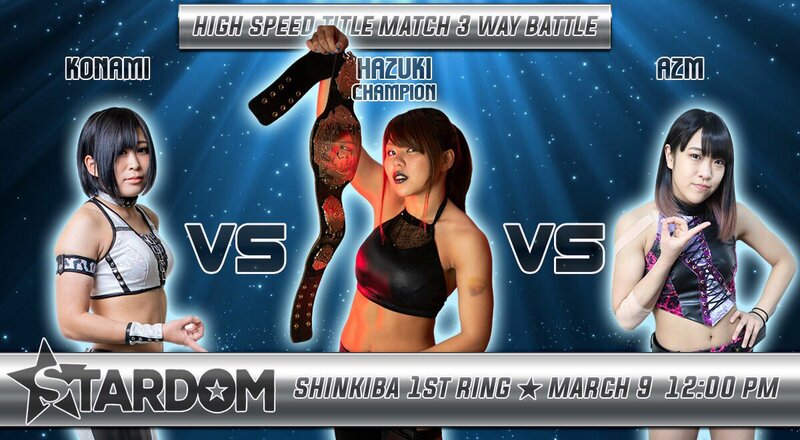 The road to doing so starts at Shinkiba with a show headlined by Hazuki defending her High Speed title. Let’s have a peek at what went down. Stardom ventured to Nagoya where they’d put together a fantastic card for the occasion. 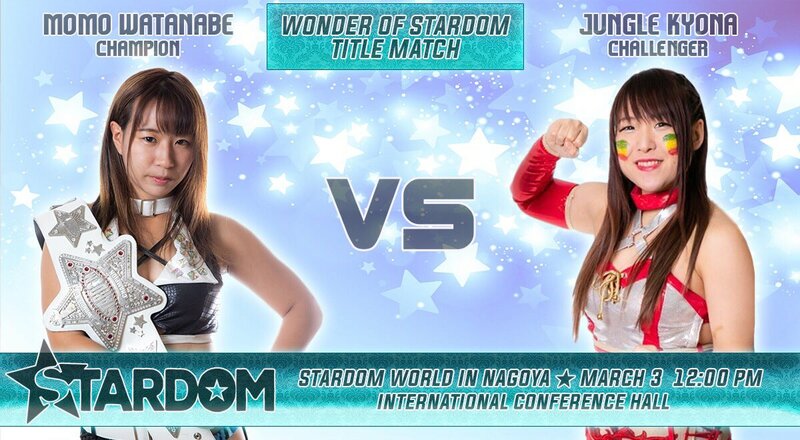 Not only did they bless us with Kyona vs Watanabe (a match which has been getting all the hype), but it was backed-up by Artist Of Stardom and SWA Title matches. It’s fun for all the family.